Touch screens, augmented reality, and plenty of smiles. Over the course of six beautiful weeks during the Summer of 2018, thousands of smiling children and adults had their photos snapped in front of Wells Fargo banks in Philadelphia. 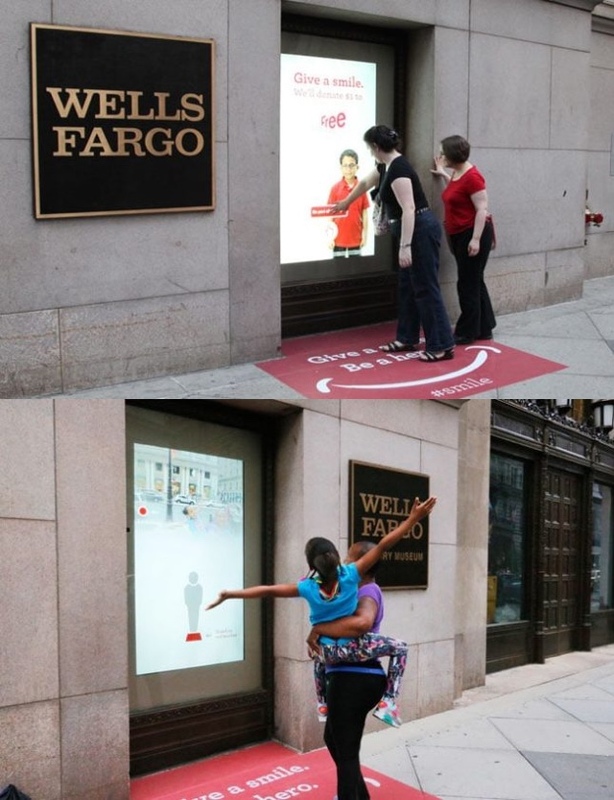 As part of a project with Wells Fargo, we produced and set out special “Give a smile – Be a hero” mats in front of Wells Fargo banks and equipped bank windows with touch-sensitive coatings and 72 inch monitors. After selecting a “Be a part of the story” button on the window, these families then became part of a digital display facing the street. For each smile we captured, Wells Fargo donated $1 to the Free Library of Philadelphia to support its grade level reading programs. These photos were also shareable via social media with a unique code generated by the software and sent to their mobile phones.